California’s goals to reduce greenhouse gas emissions and increase renewable energy garner attention from around the world, and the accomplishments of the California Energy Commission gain some of the spotlight. 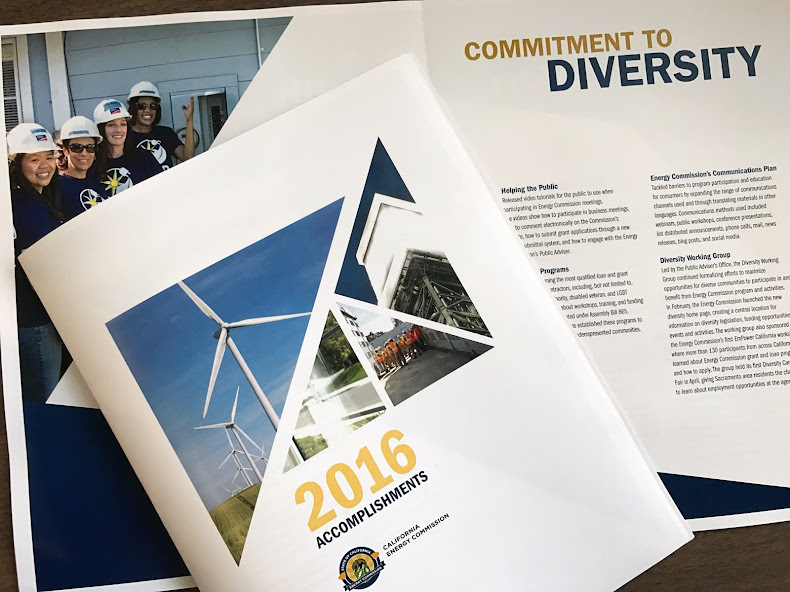 The Energy Commission, which is the state's primary energy policy and planning agency, produced the 2016 California Energy Commission Accomplishments Report. California is a global leader in combating climate change through forward-thinking policy, cutting-edge research, and the promotion of energy innovations. The report highlights the Energy Commission’s role in the state’s progress and some major achievements. The Energy Commission is involved in a range of issues. We adopt energy efficiency standards for light bulbs and verifying renewable energy. We invest in energy research and development innovations and license thermal power plants. We are helping to transform transportation through investments in alternative fuels. We are working on ways to address barriers that low-income residents face in adopting clean energy. We are working with other agencies to identify opportunities for new transmission needed to access more renewable energy.